There is something fun about using chalk and writing on chalkboards. Maybe it’s all the different colors of chalk or that you can easily erase and recreate pictures and words. I had so much fun making chalkboard garden markers, I thought it would be cute to create some mini chalkboards that can be used for school. Here are some of my chalkboard ideas I created. I love put sweet notes into my children’s lunch so I thought that this year I would make some mini chalk boards to attach to the inside lid of the lunch box. They came out so cute! 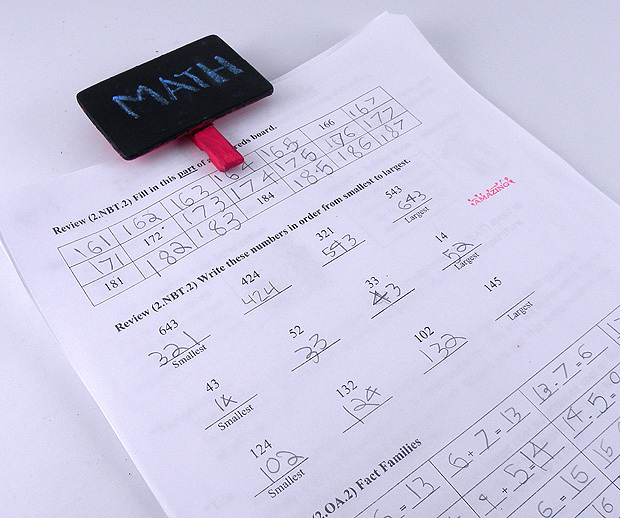 They are a lot of fun to write on and they can be erased and reused each day. Step 1: Spray chalkboard paint on one side of the hearts. I line up a few of them on a piece of newspaper and spray them all a the same time. 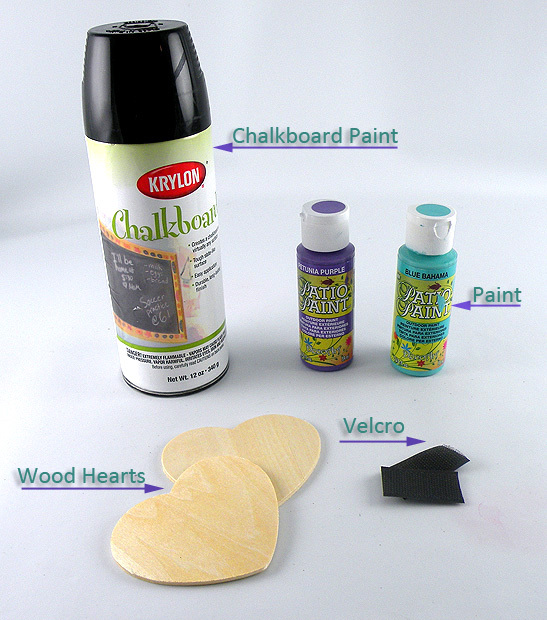 I gave my hearts 4 coats of chalkboard paint because the wood absorbs the first few coats. Step 2: Using a foam brush, paint the back of the heart in decorative colors. Step 3: Attach one side of the Velcro the center back of the heart with craft glue. Attach the other side of the Velcro the inside of the lunchbox lid. 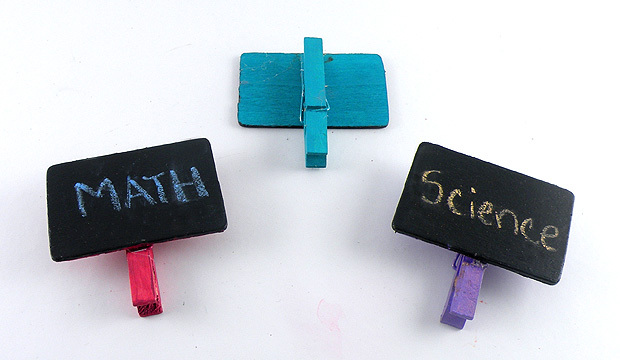 Chalkboard clips are great to use when you need to temporarily bind things together and want to have them labeled. 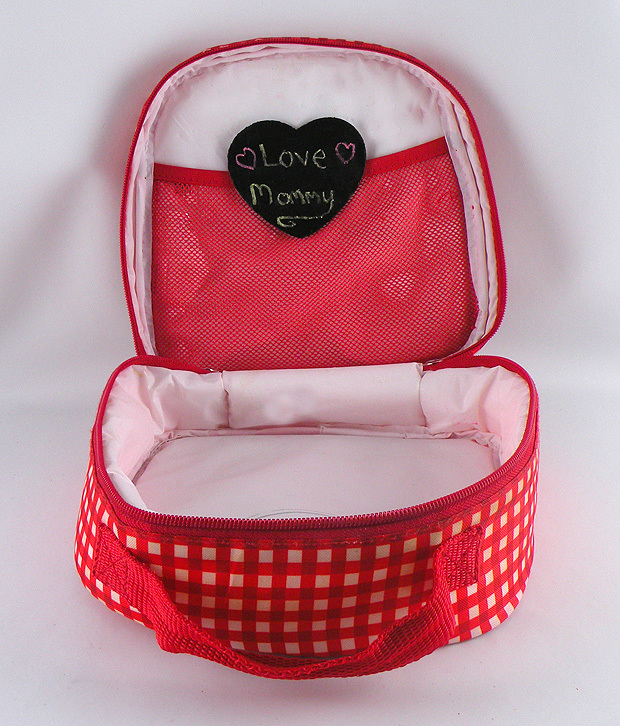 They can also be used for so many other uses such as closing bags, hanging items and more. Step 1: Spray chalkboard paint on one side of the wood shapes. I line up a few of them on a piece of newspaper and spray them all a the same time. 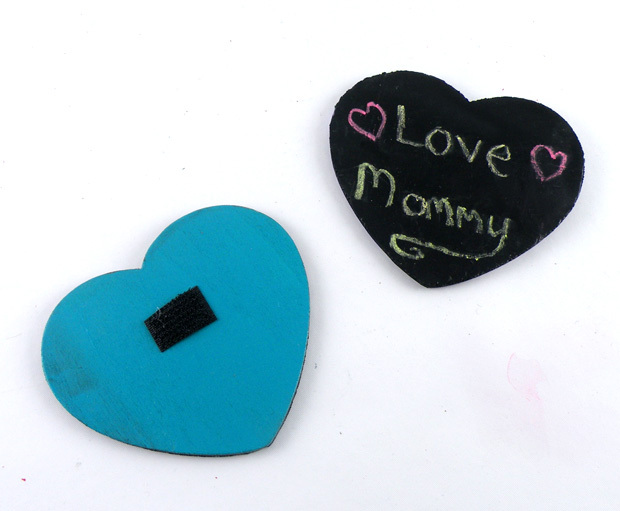 I gave my hearts 4 coats of chalkboard paint because the wood absorbs the first few coats. 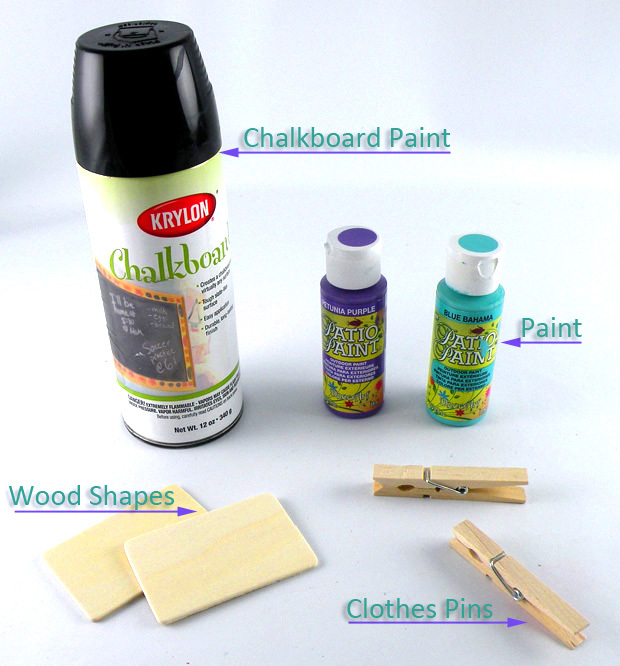 Step 2: Using a foam brush, paint the back of the wood shapes and clothespins in decorative colors. Step 3: Attach the clothes pin to the center back of the heart with a glue gun. This entry was posted in Crafts, kids, reuse and tagged back to school, chalk, chalk board, chalkboard clips, chalkboard paint, clips, lunch box, min chalkboards, school supplies. Bookmark the permalink.